This article first appeared in The Edge Financial Daily, on February 7, 2019. KUALA LUMPUR: The new government’s decision to set up an action council to address the country’s pressing economic issues has received positive responses. At the very least, it is deemed a step in the right direction. Having a designated council taking charge of forming economic policies will help to ease the mounting concerns over a lack of clear clues about the country’s economic policy stance and direction. This does not help, especially when global prospects are not that rosy, on top of the domestic economic problems left behind by the previous administration. Against such a backdrop, the new council certainly has no time to waste and the government need to appoint the capable ones to the council, said economists and fund managers. According to them, the three main issues that need the council’s immediate attention are: slowing down of economic activities amid external uncertainties, the rising cost of living and high cost of doing business. 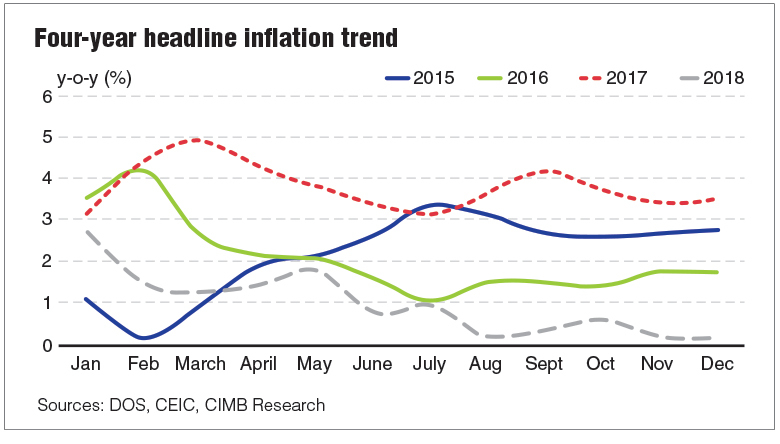 “In general, people are not feeling optimistic [even though] the CPI (consumer price index) is low, so [the] cost of living is an issue that the government needs to address quickly,” Socio-Economic Research Centre executive director Lee Heng Guie observed. Lee said it is counterproductive to continue blaming what has happened in the past. “We have to move on to confront the brutal facts, and then provide remedies and solutions to deal with it,” he told The Edge Financial Daily. Lee commented that the general public and investors would feel more reassured should the government commit to maintaining good practices and governing through providing equal opportunities for all based on the principle of meritocracy while strengthening the social safety net for the vulnerable and needy group. He pointed out that the RAM Business Confidence Index had fallen to the lowest level for the first six months of 2019 since the index began tracking in 2017. “Businesses are experiencing declining demand; the government has to look at how to increase their competency while reducing [the] cost of doing business. “Let’s keep up the momentum through a swift and effective implementation of 2019’s development expenditure projects, supported by meaningful structural reforms to ease the cost of doing business, the reform of foreign workers’ management, and formulating a smart trade and investment agenda that maximises our resource-based industries and competitive strength to uplift economic growth and minimise external shocks to our exports,” said Lee. 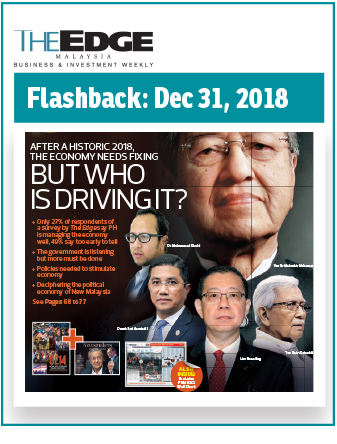 Sunway University Business School Economics Professor Dr Yeah Kim Leng concurred that an immediate issue confronting the new council — if it is constituted — is the slowing economy caused by weakening external demand. Yeah cautioned that if the domestic economy is dragged down by a further slowdown in domestic consumption and investment, businesses and households could face more severe economic shocks, such as income losses, wage cuts and retrenchments. “If cyclical or temporary in nature, the council would need to come up with short-term economic stimulus measures, for instance selective government spending boosts and stimulus packages to support private consumption and investment,” he said. Yeah added that another challenge for the council would be to restructure the economy in order to raise competitiveness, value adding, technological capabilities and Industrial Revolution 4.0 readiness, which would help the country to be recognised as a tiger economy. In particular, he said Malaysia should focus on enhancing its attractiveness to domestic and foreign investment, especially in the high-skilled and technology-driven manufacturing and services sectors. He also called for a more open and low-burden regulatory environment to help stimulate the changes. Affin Hwang Investment Bank Bhd chief economist Alan Tan said apart from driving productivity and moving the manufacturing sector up the value chain, the council should also look into ways to ensuring quality foreign direct investment, diversifying and strengthening the country’s export market, while having sustainable fiscal consolidation. “These are measures that can raise our competitiveness while raising household disposable income steadily,” he said. Tan highlighted that other than resolving the short-term economic issues, the new council should also be laying the foundation for Malaysia’s long-term sustainability. Meanwhile, Institute for Democracy and Economic Affairs director of research Laurence Todd said the new council will have to achieve a greater level of coherence among different ministries. “This coherence then needs to be communicated more clearly, including to the business community at home and abroad, who have been getting mixed signals. “In terms of substance, the central question is whether the government is going to develop a genuinely new economic model fit for the 21st century industry, or continue [with] existing policies, and in some cases even go backwards,” he asked. Specifically, he said the government will need to accept less control in economic development as traditional government investment must give way to private-sector entrepreneurship. On top of this, Todd opined that the government should take a clearer position on trade. “The government’s equivocation over the Comprehensive and Progressive Agreement for Trans-Pacific Partnership (CPTPP) sends a wider signal that Malaysia is cautious about deepening global trade. “Some concerns [about the] CPTPP are justified, but they need to be addressed with a clear decision rather than the general sense of uncertainty which has developed,” he said, adding that ratification would be a powerful signal. To date, the government has not yet set a deadline for the ratification of the agreement. Furthermore, policies to promote labour productivity and further innovation are essential. “Despite investment, industry continues to report skill gaps and skill mismatches. Graduate unemployment is also high and [the] “brain drain” is a persistent problem for Malaysia,” he said. Todd suggested that significant reform to liberalise the university system is needed, together with a review of skill development programmes to help lure back the diaspora from overseas.